The Isthmus of Panama rises and the thermal exchange between the Atlantic and Pacific Oceans ceases. The waters in the Atlantic cool and the latest ice-age begins in Scandinavia. Hominids make the first tools. South America has rodents that weigh as much as a tonne. There is a large glacier on the Antarctic, and the ocean levels were lower than before. 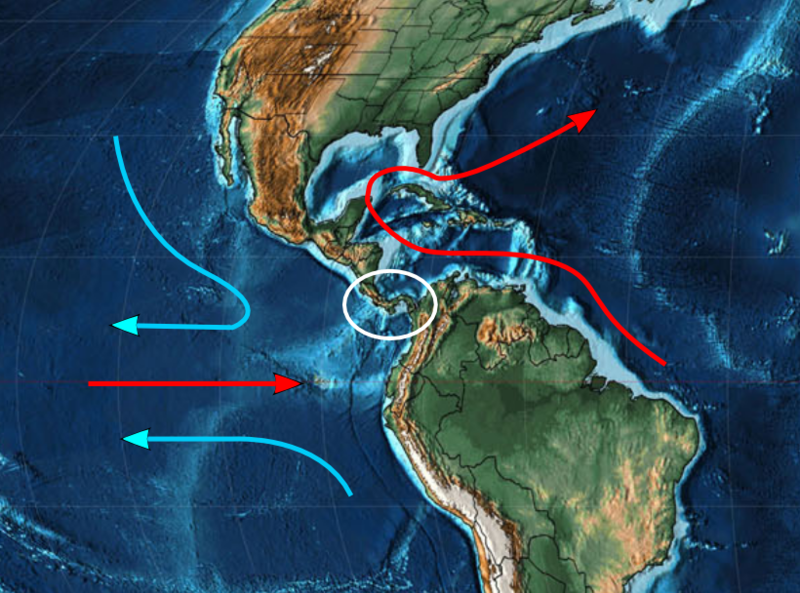 The Isthmus of Panama is so high that it closes the connection and the heath transfer between the Pacific and the Atlantic. This causes the Atlantic to cool down, leading to the latest glaciations and ice ages. The cooling of the climate 2.6 million years ago marks also the transition to the current Queaternary period. 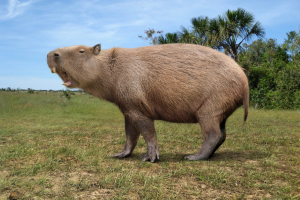 Connection between the North and South America leads to strong migration and spread of the animals between these two continents, leading to their strong competition for available niches. Volcanism is high, due to continental drifts, and the carbon dioxide level is fairly high. About 3.3 Ma ago this causes a transient warming up in the climate. Apparently, the change in the axial tilt or the inclination of the Earth’s axis causes the summers to be very cool in the Northern latitudes – so much so that the snow does not melt during the summers, which leads to growing glaciations in the Nordic hemisphere. 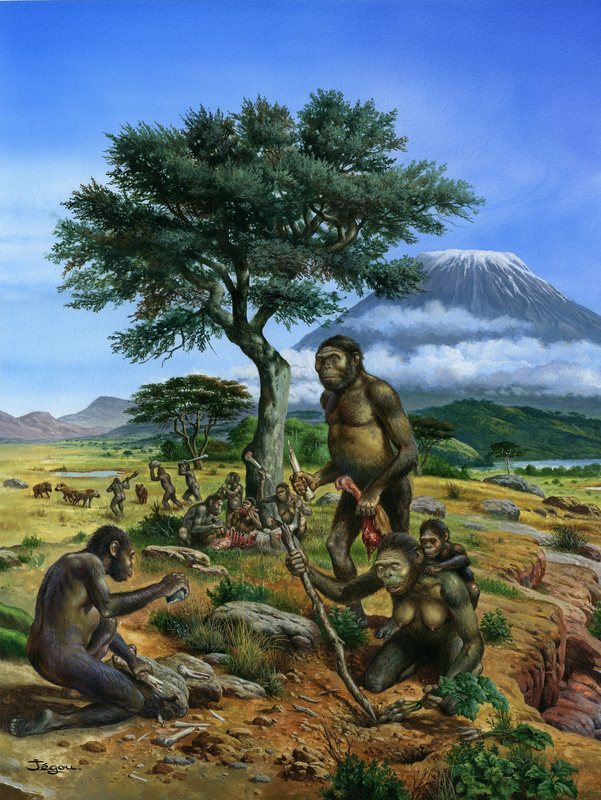 At the same time, the development of the hominids progressed with large leaps of progress in Africa, when the first tools were made on the savannah. The scientists have found remains of tools that were used in skinning of game animals, or of carcases. Most likely, these were used first by the Australopithecus garhi.